Tell us a little about San Jose’s alcohol tradition. The Costa Rican drinking culture was mostly related to beer. This is changing dramatically, largely due to the fact that people are tasting new spirits and cocktails, with no regard about the cost – which tends to be higher than that of beer. The rise of locally made artisanal brews and local mixologists has created curiosity. Consumers are trying all sorts of beers and cocktails, from classics such as Dry Martini and Negroni to refreshing long drinks, often made with local and seasonal ingredients. The whole drink concept is now aimed at the homemade or artisanal product. How does San Jose’s bar scene differ to other Central American cities? Historically speaking Costa Rica has been a cultural bridge due to its location. The culinary influence of various regions of the world makes it a quite interesting place, with an increasing offer of new restaurants and bars in such areas as Barrio Escalante, Barrio Amon and Escazu. The bar scene is undergoing a complete makeover to accommodate the second golden age of cocktail craftsmanship. Who and what are the pioneer bars and bartenders in San Jose? 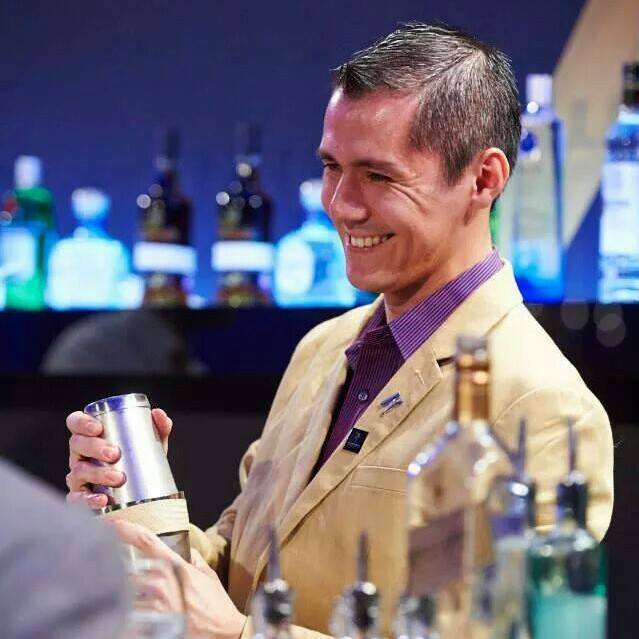 Clark Jimenez Alvarado – two-time winner in the Diageo World Class in Costa Rica and best bartender in Latin America in 2016 – is a genius when it comes to exotic and natural ingredients. Nelson Martinez is a brand ambassador. He travels across the country teaching the culture of fine drinking. Adrian Camacho was one of the first award-winning bartenders in Costa Rica. Soon after that he became one of the promoters of the new tendencies in the cocktail world. Liz Furlong is a Canadian bartender who came up with her own style which she calls “jungle bartending”. It is not uncommon to find bitters made with roots and flowers from the Costa Rican rainforest. Oscar Bermudez is this year’s national champion. He offers a wide variety of self-inspired cocktails from his small Pocket Gin Bar in Escazu, all based on gin. Others: Cristian Bolaños, Alexander Soto, Moises Portilla and Adrian Vega. As for myself, I was 2014 World Class winner and am a fan of classic cocktail craftsmanship and the history of the trade. I am currently working at a private university where I teach gastronomy students and work behind the bar practising the profession as a bartender. What are your favourite bars in San Jose? Pocket Food & Drinks, Lulú y Saturnino, Craig Irish Pub, Maza Bistro, Santos. Where does San Jose look for inspiration? Do you see a Costa Rican style of bartending emerging? Inspiration comes from local farmers’ markets, which sell local and organic produce, and of course the culinary traditions from the country or the region. The whole idea of a unique style is to adapt to the new tendencies of the industry but with the local ingredients which give an exotic twist to the drinks. What are the challenges for Costa Rican bartenders going forward? The first and toughest challenge is without a doubt to educate and persuade a population that is used to the idea that cocktails are similar to a mudslide. Also to convince bar owners that it’s good business to sell balanced drinks made with fresh and homemade products.